with a little Tear of Joy and a little Tear of Sorrow. 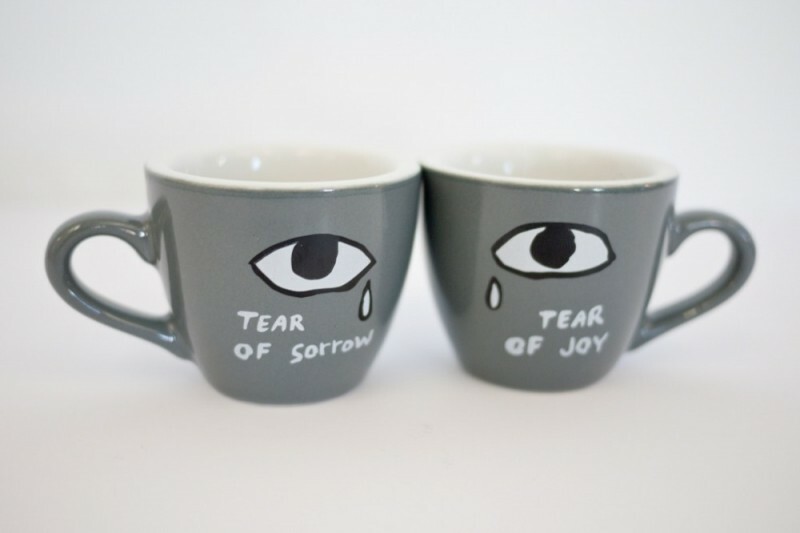 These charming limited edition espresso cups, designed by artists Michael Dumontier and Neil Farber and produced by Border Crossings, are the perfect way to enjoy an espresso with the one you love. The drawing is quintessentially Dumontier & Farber, the cups are ceramic and they fit perfectly in the palm of your hand. Get a set for that special someone today. 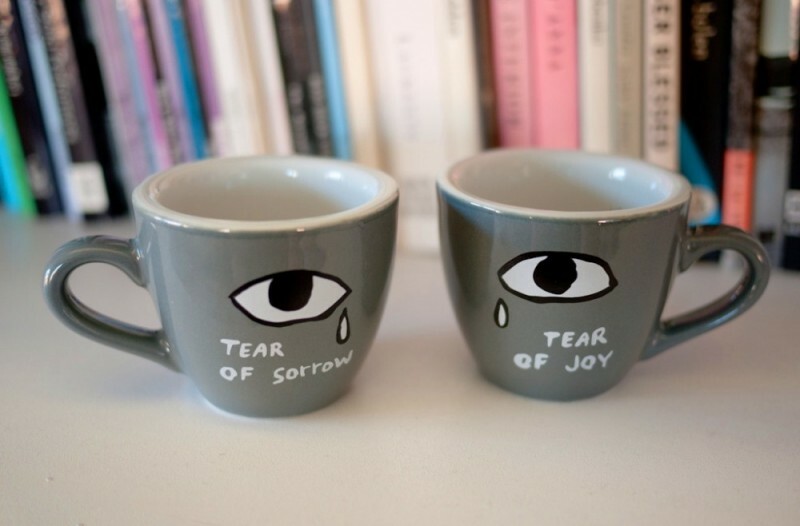 The Tear of Sorrow/ Tear of Joy cup pair (3oz each) is available for $65, or for $50 with the purchase of a subscription to the magazine. These mugs were produced in a limited edition of 200 by Eight Ounce Coffee in Canada. Cups are 2.5” diameter, 2” tall. Ceramic. Handwash recommended. Neil Farber and Michael Dumontier are Winnipeg-based artists.